The development of new highly nonlinear fibers - referred to as microstructured fibers, holey fibers and photonic crystal fibers - is the next generation technology for all-optical signal processing and biomedical applications. This new edition has been thoroughly updated to incorporate these key technology developments. New material focuses on the applications of highly nonlinear fibers in areas ranging from wavelength laser tuning and nonlinear spectroscopy to biomedical imaging and frequency metrology. Technologies such as quantum cryptography, quantum computing, and quantum communications are also covered in a new chapter. 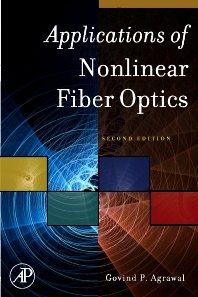 This book will be an ideal reference for: R&D engineers working on developing next generation optical components; scientists involved with research on fiber amplifiers and lasers; graduate students and researchers working in the fields of optical communications and quantum information.